Maybe a miracle will happen and we will avoid the nuclear holocaust that appears to be heading our way. Maybe we will get spending under control and pay down the national debt and avoid economic and social collapse. Maybe we won’t have a civil war after all, and perhaps we will even get our border under control. I guess miracles can happen…and it looks like it will take several miracles to save us. But then we would be faced with another problem, one we have failed to really think about. 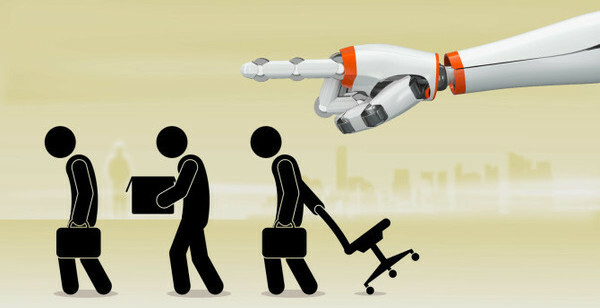 Automation, robots, AI (artificial intelligence) threaten to make most people obsolete, stealing their jobs and leaving them unemployed and impoverished, and, ultimately, homeless and starving. Eternal optimists assure us that robotics will eliminate menial, unpleasant, low-paying jobs but will somehow create other jobs. 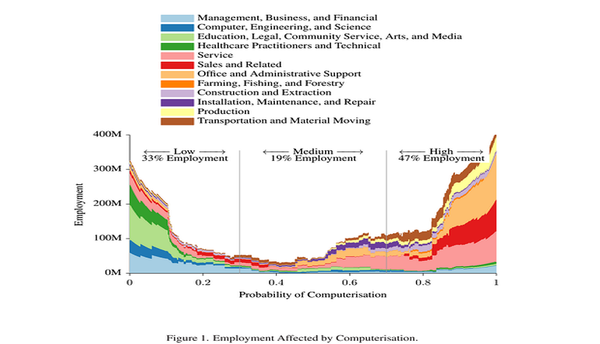 This is true up to a point, as robots will require computer software designers and maintenance people. Also, automation will allow our companies making running shoes in Bangladesh to bring their factories back to the US, eliminating shipping costs, and replacing the foreign workers with robots and at least a handful of Americans to program and service the machines. 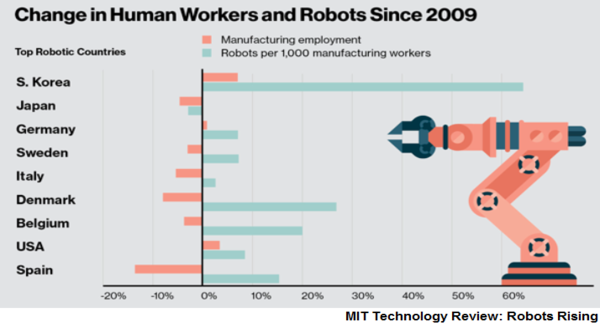 But for every new job created, most available to the small subset of the population capable of mastering the required skills, several jobs will be lost…after all, that is the whole purpose of robotics, to save money for corporations by eliminating all those payrolls. So far we have seen industrial robots assembling and welding, replacing workers on assembly lines, and computer filing and word-processing technology has replaced many clerical workers and secretaries. Old style telephone operators were replaced long ago by automation. One of the most available jobs today is driving vehicles, including delivery trucks, taxis, buses, trains, or big rigs, and driverless vehicle technology is advancing very, very fast. Even for aircraft, fly by wire technology can evolve into real robot aircraft, even airliners. Automated tellers have replaced many human bank tellers. Stores and fast food restaurants are beginning to evolve into high-tech super vending machines, needing no clerks, cooks, dish washers, or waitresses. Farmers will have self-driving tractors and combine harvesters, and even jobs requiring sight, a delicate sense of touch, and precise hand movements, from picking fruit and vegetables to cleaning chicken or fish, will soon be automated. It is all very well to say that these were often stressful, dirty jobs, often performed under poor working conditions, and it is true that human beings are not designed to perform menial, repetitive tasks for hours on end. We seem designed to do a variety of things with minimal supervision, the sort of work done by hunter-gatherers or subsistence fishermen, or to be writers, musicians, and artists. But there will not be a lot of paying positions in these fields. And we are clearly not designed to be idle. Looked at one way, the costs would be astronomical. But our economy for many decades supported a thriving middle class. Our productivity is greater than ever, so it is obvious that we still can. But what entity will provide the funds, subject to what conditions? Almost certainly the government would have to do it, bringing us back to the socialism many of us wanted to escape. As the saying goes, a government that can give you anything can take everything. With most of the population dependent on the government, freedom could soon be lost. And whom would the government tax, if most citizens had no independent income? At least part of the funds would have to come from increased corporate income taxes, another socialist relic many of us would like to abolish. 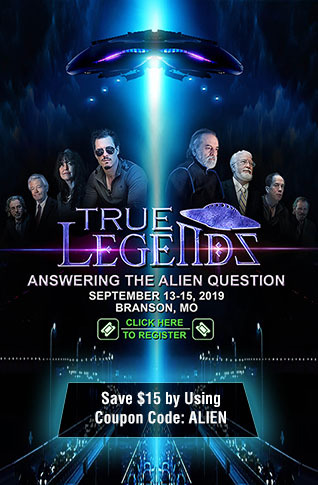 Perhaps, as I have suggested previously, the government could do, officially, openly, and subject to strict limitations, what the major banks in the Federal Reserve system have been doing all along…create fiat money out of thin air. Like the present system, this would devalue the currency and act as a tax on everyone, only paid to the (presumably federal) government, not the banksters. To reduce the moral hazard, to prevent the people from degenerating, perhaps government at every level could simply hire the people unable to get the few remaining jobs in the private sector…in other words, the overwhelming majority of the population. To do this, it might be necessary to make many workers do menial jobs like street cleaning or working in recycling centers and deliberately not automate the work. Others might become administrators. They might be required to work only ten or twenty years and then be retired on a pension equal to their pay while still working. Even if such programs could be made to work, and massive expansions of government power, power that would inevitably be abused, could be avoided, the result would be a society very different from the present one, and having no real historic precedent. It is likely that the system could only afford to pay most people a minimal subsistence income. This might force grown children to do what many are already doing…continue to live with their parents. But this might not be altogether a bad thing if they contributed both income and work to the household. And here may be a solution to the moral hazard, for people would be forced by hard economics to do much of their own home maintenance and grow part of their own food via intensive gardening. 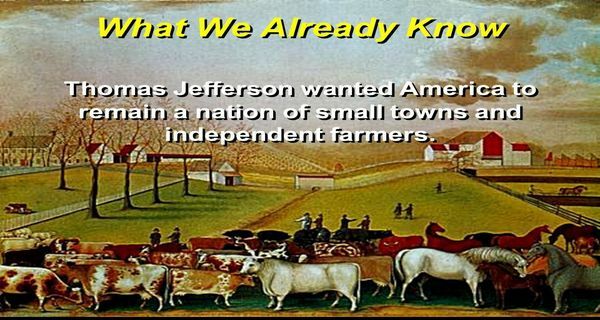 Thomas Jefferson envisioned an America comprised mainly of small farmers, largely independent and self-sufficient. Perhaps this might become a reality…sort of. But there may be another way to finance a guaranteed minimum income, although it is illegal and we would have to have a revolution first. It has become increasingly obvious in recent years that most of the world’s super-rich billionaires, people like George Sauron and Bill and Melinda Gates, support every hard left policy imaginable. This includes the banksters and the CEOs and principal stockholders of corporations like Google, Twitter, Facebook, and Amazon…Jeff Bezos, famous for abusing his workers, owns the Washington Pest, a left wing rag. About six major companies control most of the slimestream media, which preach the gospel according to Saint Marx. These fabulously wealthy people advocate an end to private property (just not their property) and the redistribution of income (except for their own income). But why not take these hypocrites at their word? Confiscate all their stocks in these companies and redistribute them evenly to ordinary citizens, who can then be paid the dividends. After all, it’s what the billionaires say that they want.